Elie Wiesel’s classic look at Job and seven other Biblical characters as they grapple with their relationship with God and the question of his justice. 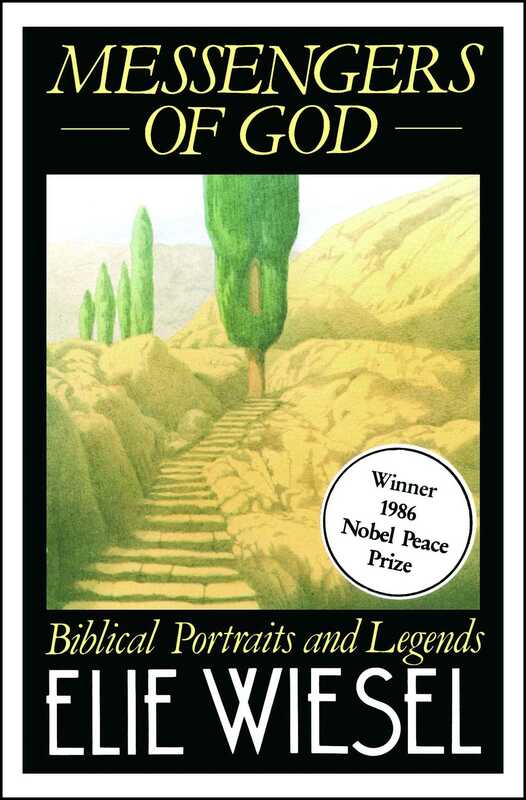 “Wiesel has never allowed himself to be diverted from the role of witness for the martyred Jews and survivors of the Holocaust, and by extension for all those who through the centuries have asked Job's question: ‘What is God doing and where is His justice?’ Here in a masterful series of mythic portraits, drawing upon Bible tales and the Midrashim (a body of commentary), Wiesel explores ‘the distant and haunting figures that molded him’: Adam, Cain and Abel, Abraham and Isaac, Jacob, Joseph, and Job. With the dramatic invention of a Father Mapple and the exquisite care of a Talmudic scholar, Wiesel interprets the wellsprings of Jewish religious tradition as the many faces of man’s greatness facing the inexplicable. In an intimate relationship with God it is possible to complain, to demand. Adam and Eve in sinning “cried out” against the injustice of their entrapment; Cain assaulted God rather than his brother; and Abraham's agreement to sacrifice his son placed the burden of guilt on Him who demanded it. As for Job, Wiesel concludes that he abdicated his defiance as did the confessing Communists of Stalin’s time to ‘underline the implausibility’ of his trial, and thus become the accuser. Wiesel’s concern with the imponderables of fate seems to move from strength to strength” (Kirkus Reviews). Elie Wiesel is the author of more than forty books, including his unforgettable international bestsellers Night and A Beggar in Jerusalem, winner of the Prix Médicis. He has been awarded the Presidential Medal of Freedom, the United States Congressional Gold Medal, and the French Legion of Honor with the rank of Grand Cross. In 1986, he received the Nobel Peace Prize. He is Andrew W. Mellon Professor in the Humanities and University Professor at Boston University.